Hi guys! So this will be a ongoing series about all things food! My love for food has been growing and the need to try things new is always a good thing. So if you guys live in Melbourne, some of the mini reviews will hopefully be helpful. So, let's get started! 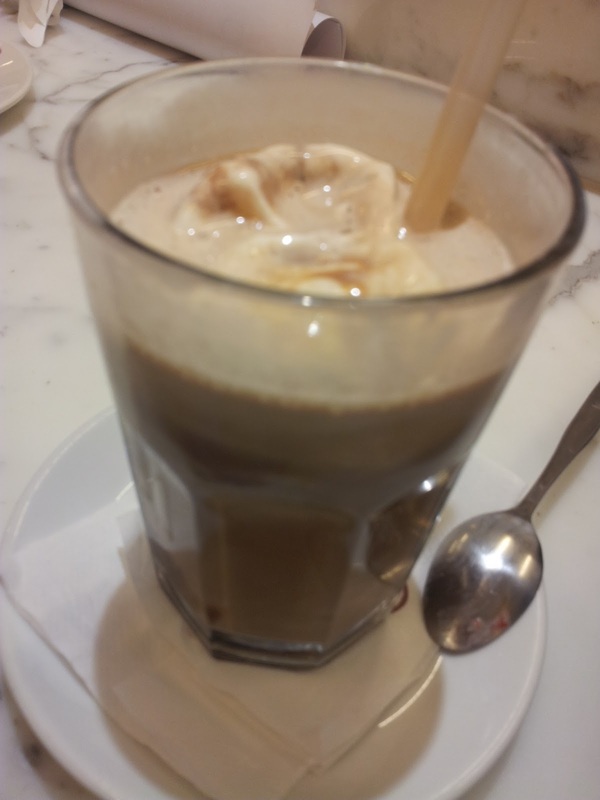 First stop, Lindt Caffe on Collins Street. My friend got this hot chocolate. 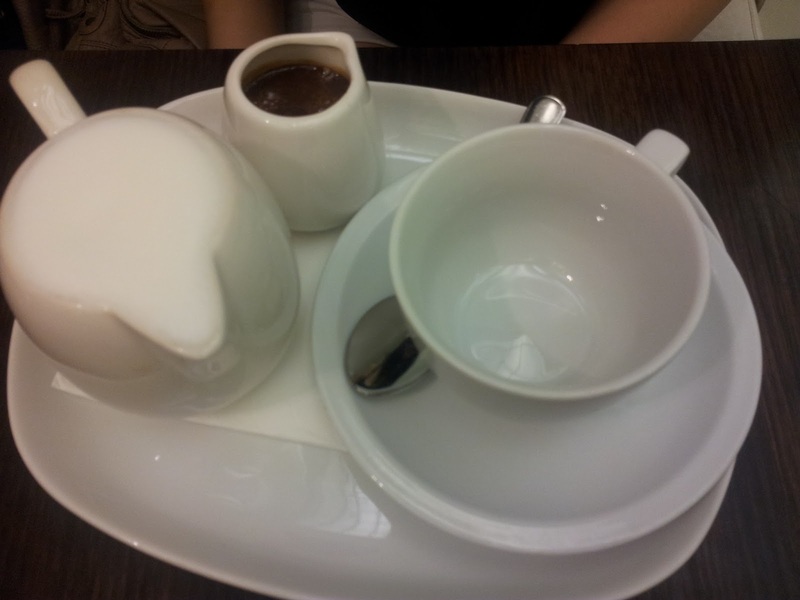 The milk and chocolate drink comes separate so when it is served, you put the two together. If you love chocolate, this is the place to go! They have super yummy chocolate! The only down side to this place is that everything is a bit more expensive than other places. Definitely a great place to spoil yourself once in a while. Next stop, PappaRich at Chadstone. I have quite a history about finding out about this place. Me and a few friends were planning to go to a Korean restaurant near by, but it was closed for the day. 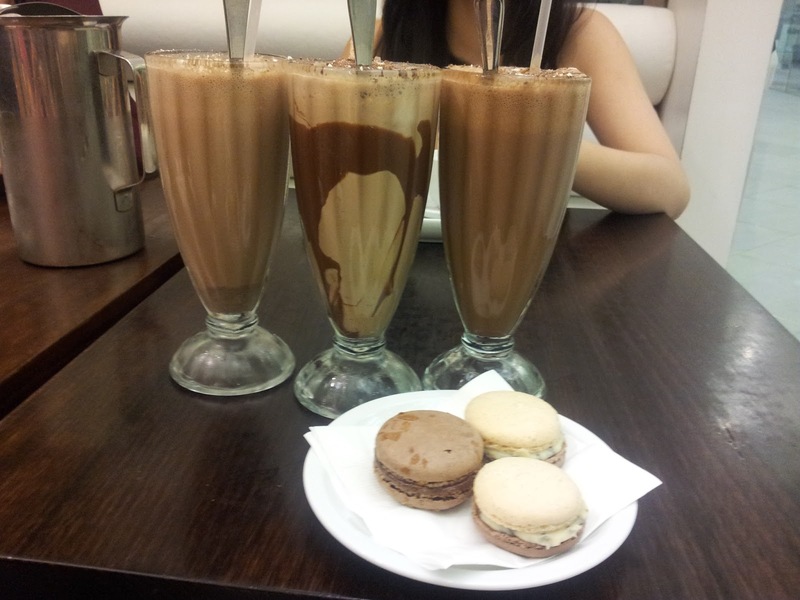 Being our hungry selves we went to Chadstone and entered PappaRich after looking at the huge menu and drink selection. They have really good food and its a good place to catch up with friends. Me and my friends caught up with each other before uni started so we went to a local restaurant. They have a variety of foods at affordable prices. 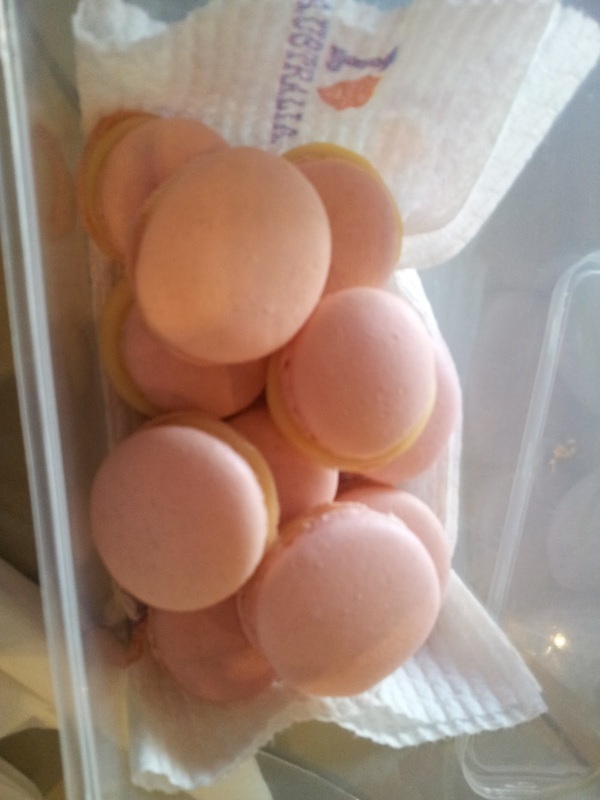 The picture above are macarons that my friend made. Seriously, they are the best I've ever tried. Crunchy on the outside and soft on the inside, and they're not too sweet. After dinner we decided to go to Pancake Parlour Highpoint. 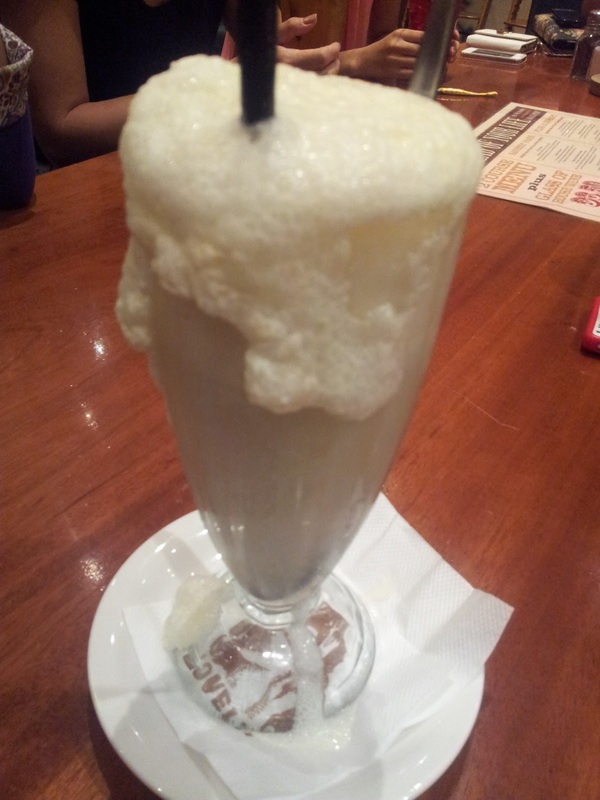 I can't remember what the drink is called, but its a lemonade with vanilla ice cream. when the drink and ice cream gets together it fizzes up! 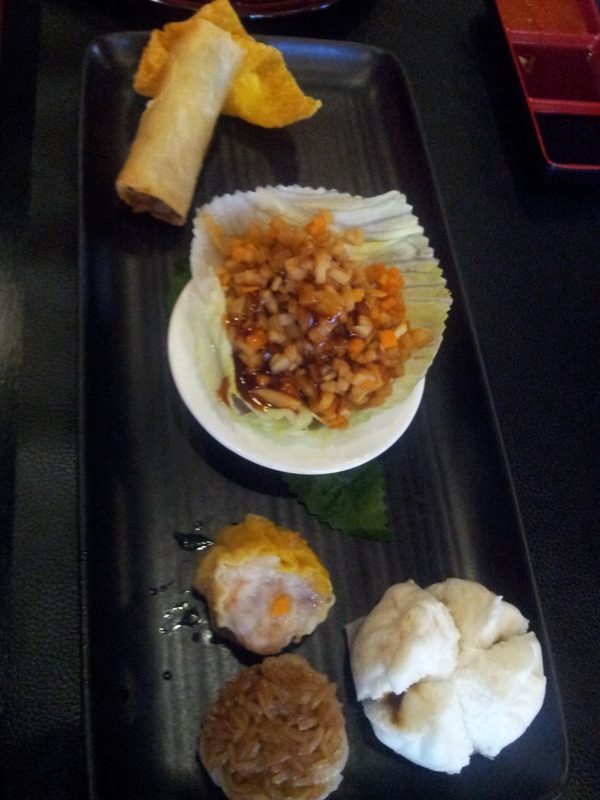 Second day of uni, me and three friends went to a new place we've never been to before, YumCha Cafe on Exhibition Street. 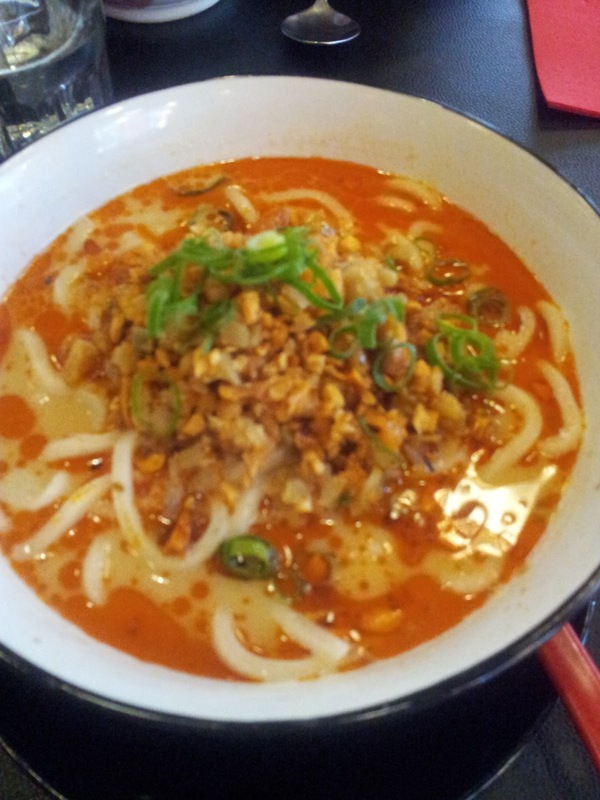 I ordered the Sizchuan (not sure how to spell it) Spicy Noodle Soup. It was quite different to any other noodle dishes I've had because the soup itself was quite creamy and had a strong nutty taste to it. It was ok, but not something I would order again. The restaurant was ok, but I would go somewhere else for better food for a cheaper price. I ordered an iced mocha, and it was quite disappointing. 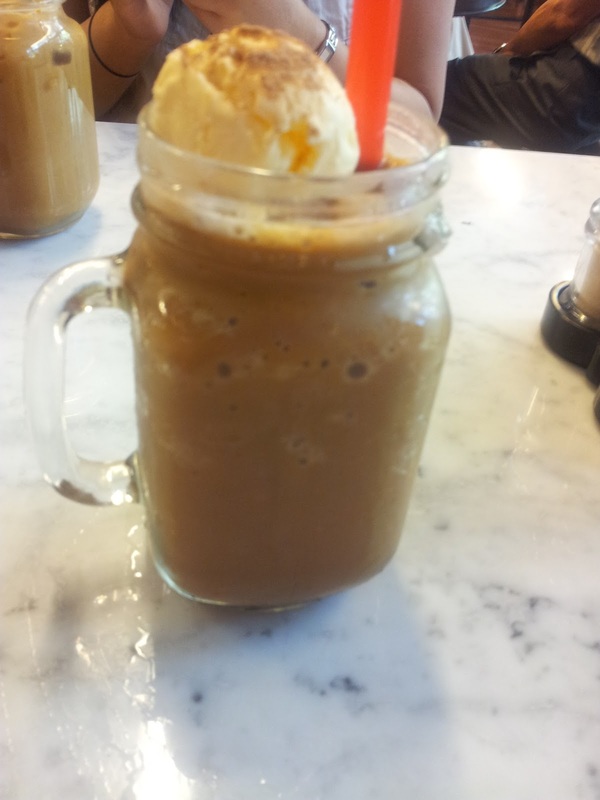 The drink was ok but despite calling it an iced mocha, there was no ice; instead it had ice cream and it was quite expensive at $6. It was my first ever time trying a dessert that was sweet and salty. 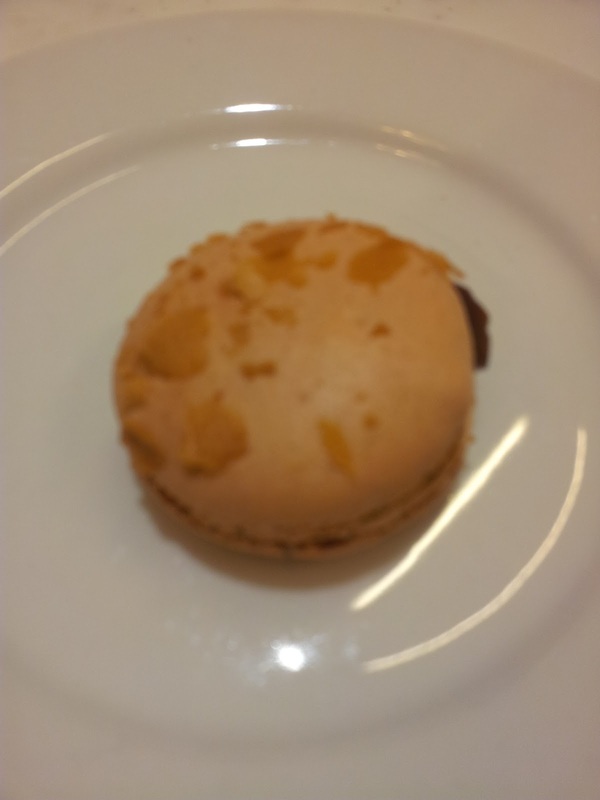 It was ok, tasted like a normal caramel macaron. My friend got this dessert that looked really cute. It tasted, different. 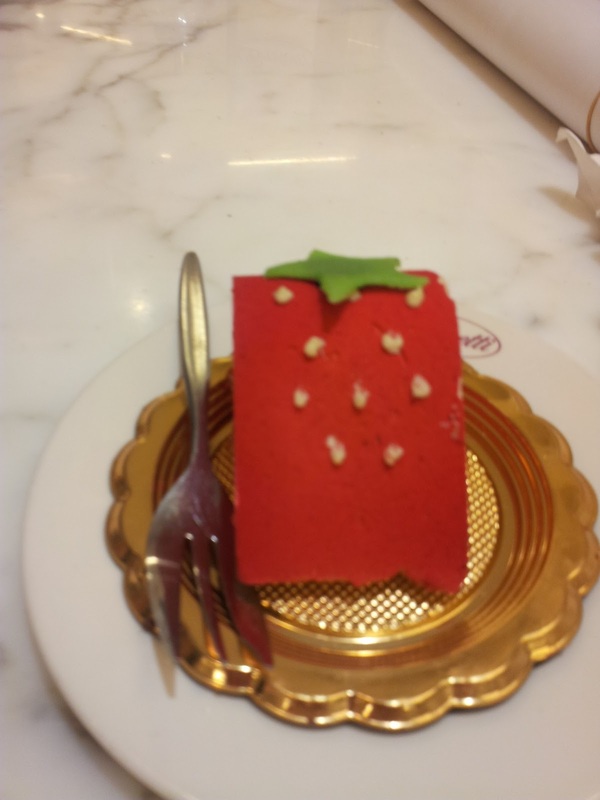 It had the texture and tasted of dried up icing and inside it had, like a slighty sour strawberry jam. 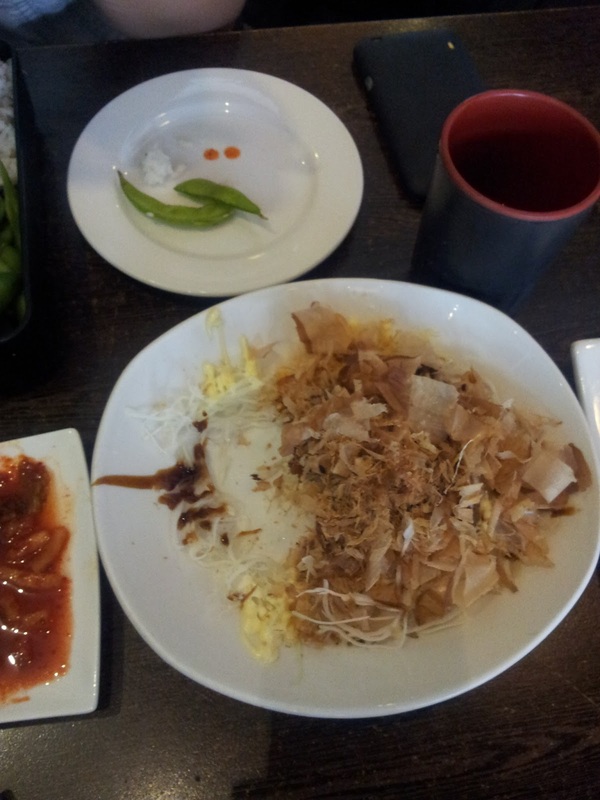 Under all of the stuff on top is takoyaki. This has to be seriously the best takoyaki I've had ever! It's crunchy and isn't soggy like other places I've tried. And there is a decent amount of octopus inside. You get 6 balls for $6-7. That's still pretty cheap, in my opinion. 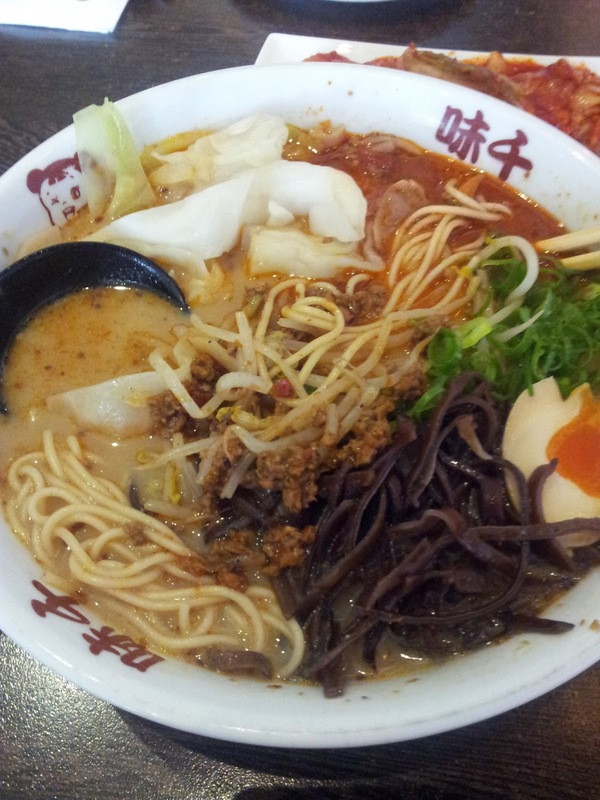 I got the Spicy miso ramen. I was expecting the typical instant noodle, noodle but instead I got some thin noodles. The dish itself was really good, and buy the end of it I was slowly dying from the spiciness (which rarely happens to me). After hearing good things about this place, I decided to try it out. Its definitely a great place and have a huge selection of dishes for both meat eaters and vegetarians. Definitely recommend trying this place out! Me and my friend were walking around to wait for Ajisen Ramen to open since it was still quite early in the morning, and we stopped in front of this restaurant looking at the drinks. Me and my friends are suckers for drinks as desserts so we tried this place out. Got the Iced coffee with ice cream. 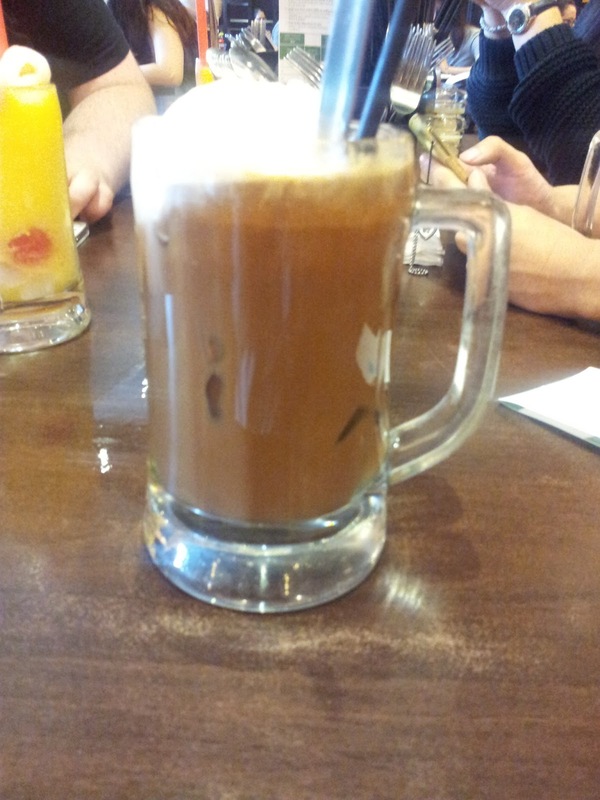 This tasted like Asian coffee, which I like. If you guys haven't had Asian coffee before, it tastes like normal coffee but instead of using milk, condensed milk is used in place of milk and sugar. This drink was really good! Another place I recommend checking out and I will be coming back for more! Wow that was a long post... I hope you guys enjoyed it. Is there any places around your area that you always go to? Any Melbournians out there that recommend any food related places? 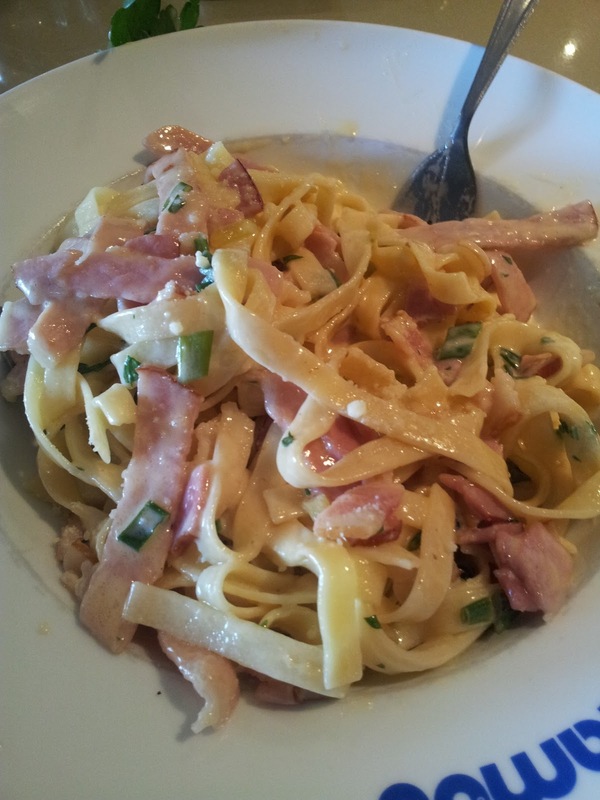 The fettucine looks really good... it's no wonder that I crave carbohydrates in the morning. I feel extra spontaneous today, maybe I shall make it for lunch.